Cheezburger’s new CEO is a former MSN and Yahoo exec. 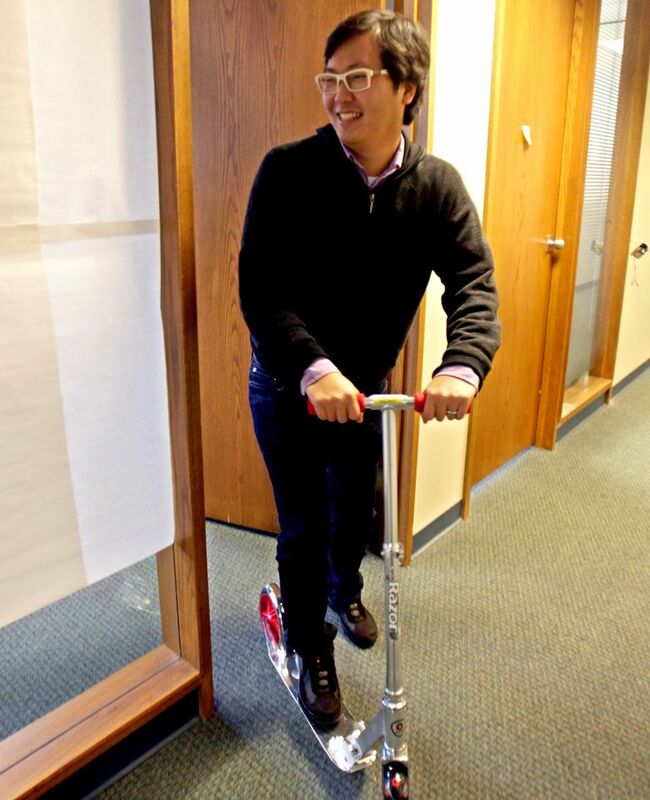 Ben Huh and his wife, Emily, launched the Queen Anne-based company eight years ago. Seattle humor site Cheezburger has a new top cat after founder and CEO Ben Huh said Wednesday that he is leaving the company. Huh, 37, announced the news Wednesday in a post on Medium. Cheezburger President and Chief Operating Officer Scott Moore has been named CEO of the company, which operates a popular, cat-laden humor network headed by flagship site I Can Has Cheezburger? Huh and his wife, Emily, launched the company eight years ago and raked in $30 million in a first venture round in 2011. At the time, the company was drawing more than 16.5 million people each month to view the captioned animal pictures on the sites. Cheezburger hit hard times in 2013 and laid off 35 percent of its staff. Hiring has slowly ticked back up and Cheezburger now employs about 50 people in its Queen Anne office. Cheezburger raised another $2.74 million in February, bringing its total to nearly $40 million. Cheezburger during the past month drew more than 5 million people and 62 million page views, according to Quantcast. The company is close to earning a profit for the first time, Huh wrote, and he saw the time for a leadership change. New CEO Moore has a long history in media, serving as the former general manager of MSN and head of media at Yahoo. He was also president of MSNBC.com and publisher of Slate. It’s been a season of change for Huh, who also co-founded news app Circa, shuttered in June. Now, he and his wife are preparing to go on a new “unscripted” adventure, he wrote on the blog. “Now it is time for me to create pause and be mindful of what I will do, who I am and to write about lessons learned that may be helpful to all of us,” Huh wrote. Huh will stay involved with the company as a board member. Information from Seattle Times archives is included in this story.